If you are looking to add more whole grains to your diet these salads are the perfect way to start. Rice and grain salads are easy to cook, taste good, and can be prepared a day or more in advance. room temperature, so they are excellent for packed lunches to take to work or school or for a picnic. Cook rice according to package directions. Spread the cooked rice on a plate and cool to room temperature. In a large bowl, combine the cooled rice, tomatoes, onion, olives, and pumpkin seeds. Add the oil, Marsala, vinegar, oregano, salt and pepper. Toss to combine. Divide among 4 salad plates and sprinkle with chopped parsley. 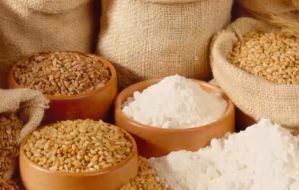 Long grain rice is used to help the grains remain separate in the salad. You may wish to substitute chopped artichokes or blanched broccoli florets for the peas or carrots. Add some toasted pine nuts or cashews for some extra crunch. In a bowl, combine the garlic, onion, lemon juice, vinegar, parsley, and oil. Whisk well and season with salt and pepper. Stir in the cooked rice. Bring a small saucepan of water to a boil. Blanch the peas and carrots for 1 minute. Drain and rinse the vegetables with cold water. Add the vegetables to the rice. Add the prosciutto and toss the mixture gently. Serve at room temperature. Bring water and bulgur to a boil in a medium saucepan. Reduce heat to low, cover, and simmer until bulgur is cooked, about 12 minutes. Remove from heat. 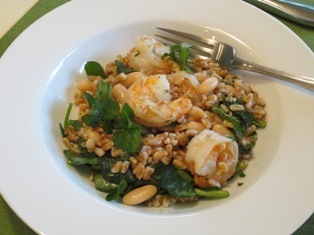 Spread the bulgur on a plate to cool to room temperature. Transfer the cooled bulgur to a bowl and fluff with a fork. Add the remaining ingredients; season with salt and pepper. Serve. Put lentils, water, and bay leaf into a medium pot and bring to a boil. Reduce heat to medium-low and simmer, covered, until lentils are tender, 30 to 35 minutes. Remove from the heat; season with salt and pepper. Set the lentils aside to let cool in their cooking liquid. Discard the bay leaf and drain the lentils. Heat 1 tablespoon of the oil in a small saucepan over medium heat. Add kasha, shallots, and garlic. Cook, stirring occasionally, until shallots are softened, 3 to 4 minutes. Add broth and bring to a boil; then reduce heat to low. Simmer, covered, until water is almost absorbed and kasha is almost tender, about 8 minutes. Add oregano, recover pot and continue to simmer until liquid is completely absorbed, 3 to 4 minutes more. Remove from heat and set aside, uncovered, to cool. Put lentils, kasha mixture, tomatoes, olives, scallions, parsley, remaining 2 tablespoons oil, salt and pepper into a large bowl and toss gently to combine. Serve at room temperature or chilled, garnished with feta cheese. 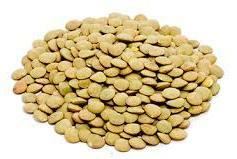 Although lentils grow in pods, they are always sold podded and dried. Italian lentils are the small brown variety, which are grown in the area around Umbria. Lentils do not break up during cooking, and are often mixed with small pasta shapes or rice for a contrast of flavors and textures. 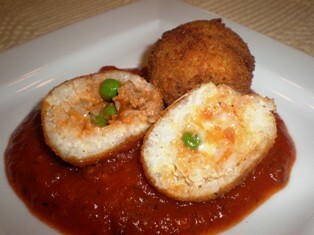 They are delicious served warm with cooked sausage or served cold dressed with olive oil. Lentils will absorb the flavors of whatever aromatics they are cooked with, so add herbs or spices to the cooking liquid for extra flavor. The Emilio crops of lentils are actually quite small, so the demand often outweighs the supply. These lentils are grown by the Emilio family in Umbria; pale brown and tan in color. They are prized throughout Italy for their outstanding color, texture, and flavor. The combination cooker that makes tender slow cooked meals, stir-free risotto, and quinoa all in the same bowl. 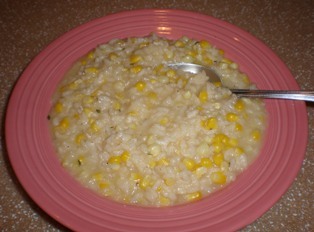 Risotto making function creates creamy, authentic risottos without 40 minutes of constant stirring. There is a saute setting that allows you to caramelize your fresh ingredients before adding the rice. The cord is removable so you can bring the unit right to the table for serving. Learn more about Italian beans: borlotti beans, cannellini, chickpeas or garbanzo beans, fava beans, and lentils and the regions of Italy that prefer them. 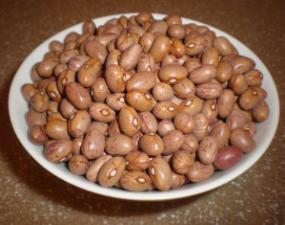 Learn how to soak dried beans, how to cook dried beans, and how much beans to cook.